Rich Homie Quan recently sat down with Vlad TV for an interview to talk about his return to music, record label issues, working with Drake, and more. At the 6:45 mark of their conversation, Quan confirmed the songs he did with Drizzy Drake a while back are still unreleased and discussed why he thinks Drizzy is where he is at right now. He even mentioned that the 6 God loves to drink coco lattes early in the morning as he is rapping in the studio! You can see the full interview after the jump below! 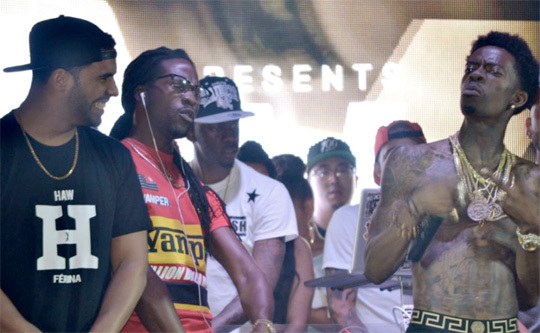 Just before the What A Time To Be Alive mixtape was released, Drake spoke about how his and Future‘s collaboration project came together on Beats 1 Radio’s OVO Sound Radio show. 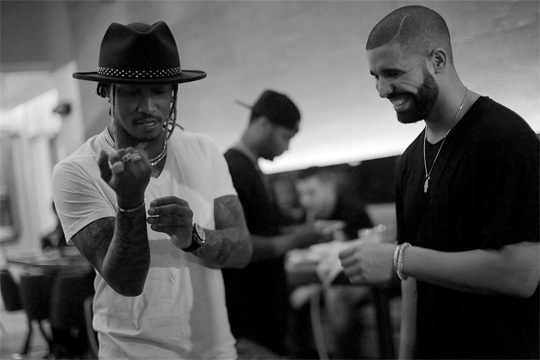 Drizzy revealed that he went to Atlanta for 6 days to work on songs with Future Hendrix, but because Future‘s work ethic is so crazy, they ended up recording an entire tape. Before wrapping up the show, Drizzy Drake also shouted out the people who were involved in the project, as well as why he called the mixtape “What A Time To Be Alive“! In the video above, you can watch Cabbie from TSN interview Drake about his new role as the Global Ambassador for the Toronto Raptors. During the interview, Drizzy receives some funny business cards and gets asked about his work ethic, as well as suggestions to re-brand the Raptors for next season. 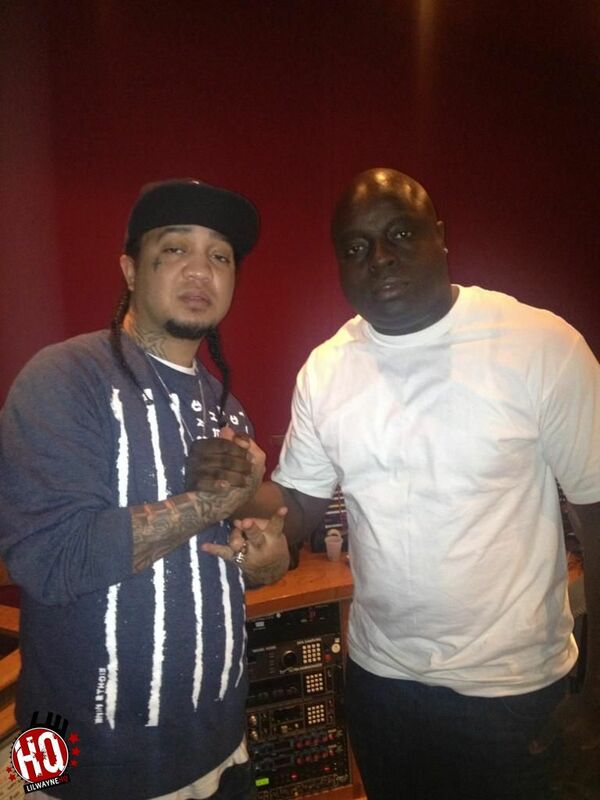 HipHopDX recently spoke with Gudda Gudda about working with his Young Money label-mates Flow and Jae Millz, shooting the “Stupid” music video in New Orleans, his Redrum mixtape, why he called the tape “Redrum“, getting his work ethic from Lil Wayne, and going on a tour this year. Double G also mentioned that he has already shot a music video for “New Orleans” featuring Flow, Thugga and Mystikal off his Guddaville 3 mixtape in the N.O., announces he will be releasing a Guddaville 4 mixtape before he will release his album later this year, which will be called Guddaville: The Album, and starting up a new production company business venture titled Gudda Music. You can read the full interview after the jump below. After chatting about Drake‘s “Started From The Bottom” song, Birdman then spoke to MTV about Nicki Minaj and her work ethic during NBA All-Star weekend in Houston. Baby also confirmed that he watches American Idol to support the YMCMB Barbie and shared his thoughts on the Mariah Carey feud. In related news, hit the jump to watch another interview of Nicki talking about her VIVA GLAM “Lavender Is The New Pink” lipstick with M.A.C. 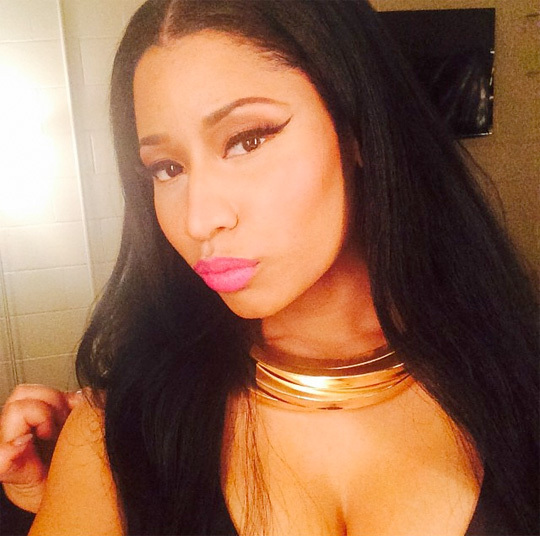 Nicki Minaj Says All Of The Songs On Her “Re-Up” Album Are Rap! Above, you can watch Tim Westwood‘s interview with Nicki Minaj that took place in London, England earlier this month. Nicki speaks on her upcoming Pink Friday: Roman Reloaded – The Re-Up album, her work ethic, the nominations she has received from upcoming award shows, her fans aka the barbz, and more! Click here to watch Team Minaj UK interview the Young Money Barbie that took place before her interview with Tim.